August 17, 2018 August 31, 2018 adminEffects Of Kaal Sarp Dosha, How To Remove Kaal Sarp Dosh, Kaal Sarp Yog Puja, Mantra To Get Rid of Kaal Sarp Yog, Remedies To Remove Kaal Sarp Dosha, Types Of Kaal Sarp Dosha, What is Kaal Sarp Dosha? You might have heard many a times about the term ’Kaal Sarp Dosha’ through various astrologers and how it effects the life of a person. So, in this post we are going to discuss what is Kaal Sarp Dosha, how it is formed and how to remove Kaal sarp dosha. According to the Hindu Astrology, Kaal Sarp Dosha is formed when all the planets are located between the axis of Rahu and Ketu in one’s natal chart. If any single planet is posited outside this axis, then this yoga is not formed. An Anant Kaal sarp dosha occurs in a horoscope if the Rahu is placed in first house and ketu in seventh house or Ketu in first house and Rahu in seventh. This is called the complete Kaal sarp dosha. As per the ancient Hindu texts, any dosha or yog in the horoscope is due to the previous birth deeds. You cannot alter your past birth deeds but you can definitely improve your present by following the remedies on how to remove Kaal Sarp Dosha in order to eliminate this dosha. One must bear in mind that any of the remedies to remove Kaal Sarp Dosha cannot ward off the dosha completely but however you could suppress the negative effects upon the life. 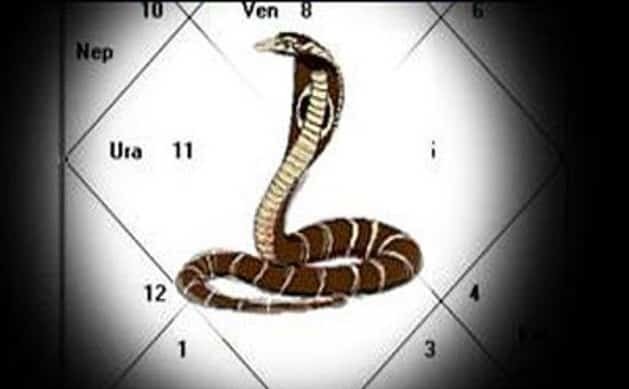 Kulika Kaal Sarp – This dosha occurs when rahu is posited in second house and ketu in eighth. Vasuki Kaal Sarp – This dosh exists when rahu is in third house and ketu in ninth. Shankh pal Kaal Sarp- It occurs when Rahu is in fourth and ketu in tenth. Mahapadma Kaal Sarp-It occurs when rahu is in sixth houseand ketu in twelfth. Takshak Kaal Sarp- It exists when rahu is in seventh house and ketu in the first house.